Things weren’t looking great for Assassin’s Creed, the big screen adaption of Ubisoft’s massive video game series, for a while there, especially with it it disappearing completely from the release schedule. 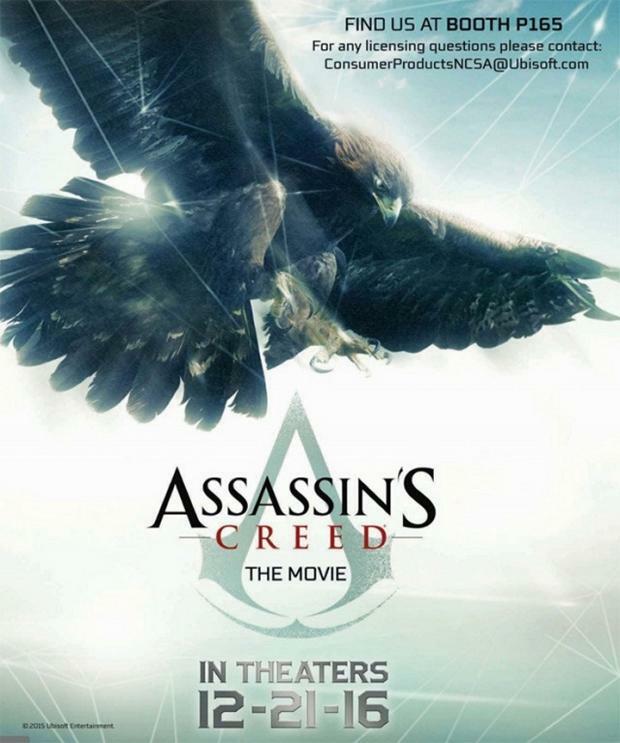 But it’s back on, and we’re getting one step closer with Ubisoft releasing the first poster, with an image every fan of the game will recognise and the working title of Assassin’s Creed: The Movie, ahead of this year’s E3, the video game convention to end all video game conventions. I have a feeling, much like Sony did with their own video game adaption Ratchet and Clank, will drop more details when E3 is in full swing. With Michael Fassbender signed on to produce and star, Assassin’s Creed: The Movie (I really hope that title changes) reunites him with his Macbeth (which is already getting amazing early reviews) director Justin Kurzel and co-star Marion Cotillard for an era spanning tale following a group of noble assassin’s locked in a never ending war with the evil Kinght’s Templar.